Rolex stainless steel Air-King, automatic, size 34mm. 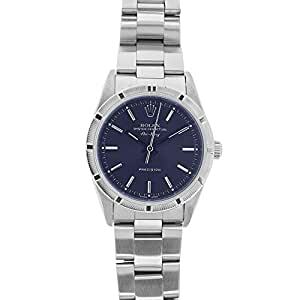 Rolex model 14010 with a stainless steel case and Oyster bracelet, engine turn bezel, blue stick dial, sapphire crystal. “A” series, circa 1999.